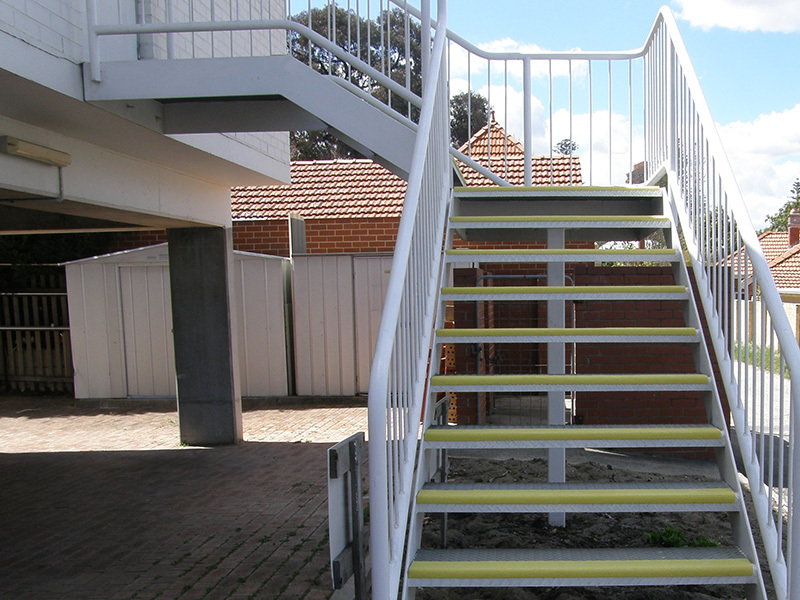 Guardian fiberglass nonslip stair nosing is extremely durable and provides maximum anti-slip protection for pedestrian safety. 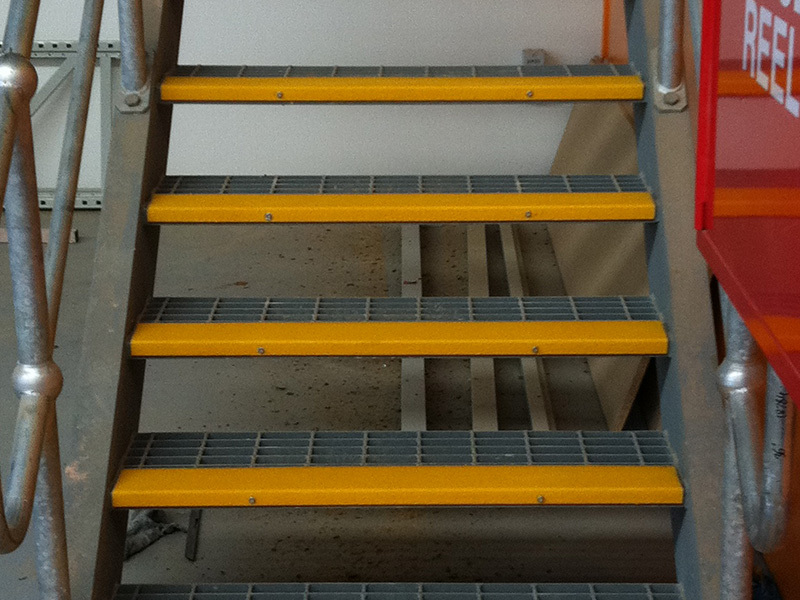 Fiberglass stair nosing is designed to minimise slipping, tripping and at the same time highlight the step edge. Guardian fiberglass stair nosing are cut to measure, easy to install, and provide a fast-permanent anti-slip solution to all surfaces. The Fiberglass Reinforced Plastic (FRP) is manufactured from high quality, non-corrosive, UV resistant material. All anti-slip environmental tests are undertaken by the CSIRO; providing an R13 rating for ‘Oil Wet Ramp’ and 72V results for ‘Wet Pendulum’. Refer to CSIRO Test Reports for more information. 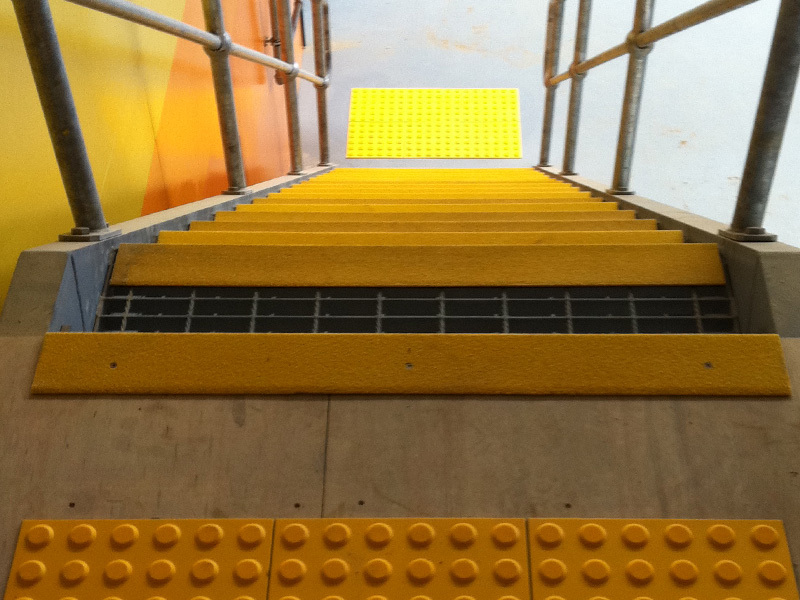 See examples of where Guardian Tactile Systems have installed fiberglass nonslip stairnosing.